Plumbers Oak Lawn IL is provided by Southtown Plumbing & Sewer Inc to Oak Lawn plumbing clients, and every customer matters to us. The biggest praise we get is when our customers tell us we are like family to them. When people invite us into their residents to take care of a plumbing problem they can’t handle by themselves, we feel honored to be of assistance. This is a sacred trust we never take for granted. We provide world-class customer support and high-quality plumbing services for the discerning customer. Through our commitment, expertise, and excellence, we strive to establish relationships with our customers that lasts a lifetime. 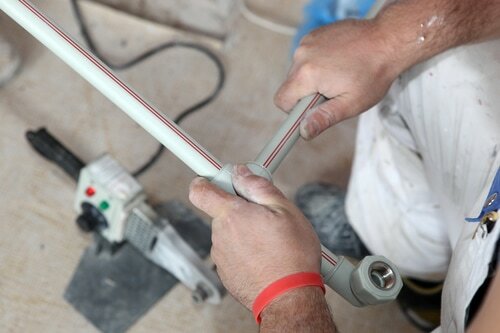 Our licensed plumbers work diligently to earn your business every time you call us. We want to be your partner in enhancing the safety and comfort of your residential property. 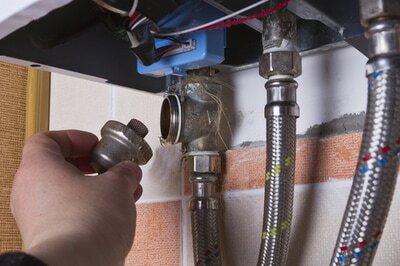 ​or replacing any part of your plumbing is a giant step towards making your property more comfortable. We use our technical expertise in helping you choosing the right services that will keep your water flowing and keep your drains and sewer unclogged. When you replace or install new plumbing, it not only improves the water quality, but it reduces pollution and your energy bill cost. Our professional plumbers have the required skills to install and maintain the plumbing system that works best for your needs. to call our power drain cleaners. We make a constant investment in continuing education and diagnostic equipment required to measure, protect, and enhance the actual performance and safety of your residential plumbing. Because of this, our plumbers have the tools and knowledge to analyze and resolve issues missed by other plumbing companies. Your total satisfaction is our goal. This is why a huge percentage of our customers come to us via a referral or another customer. We are Oak Lawn's expert plumbers. With years of experience in the plumbing industry, and we understand the requirements necessary in providing long-lasting solutions to your plumbing needs. We are proud in our ability to respond quickly power rodding your sewer line, clogged sink, unclogging tubs, or water heater problems. For residential properties, we offer fully stocked trucks, skillful plumbing technicians, and the expertise to do the job right. No matter how big or small your plumbing requests are, our team can definitely handle it. YOU CAN CALL US TOO! Our team is always on standby to help you at a moment’s notice. We hand pick each of our professional plumbers, as each reflects our solid reputation. We guarantee the excellent workmanship and professionalism of each of our employees. With our plumbing repair, installation, or replacement services, we take the time in helping you to decide which plumbing service and system are best for your home or business. ***** " Amazing Service! They did everything for us, and were so respectful of our property. Highly Recommend!" they had it done within a few hours. Super professional and affordable." In addition to our extraordinary services, we provide the fastest complete plumbing services at very economical rates. to treating you and your home with the utmost respect. We resolve issues that disturb the day-to-day comfort you value in your residential property. When you schedule plumbing services with us, our plumbers are always on time, every time. to service you 24 hours, seven days a week, including any type of emergency plumbing you find yourself in need of. installation,maintenance, repair, or replacement options. You approve the work, service, and price even before our plumbing service begin. Our crew has the tools and training to get your plumbing service done accurately the first time. Our service trucks are mobile warehouses. They have the parts, tools, and equipments to take care of your plumbing problems immediately. If your water heater is not functioning correctly, or if you have problems unclogging tub, then don't hesitate to call us for maintenance service. Our intention is to constantly deliver the highest level of plumbing service and support for our customers, so they can enjoy a relaxing and healthy water quality. Whether it is your home or business, comfort is imperative. We recognize that you rely on us to ensure plumbing system is working and working well. We are proud of the way we take care of our customers and performing remarkable workmanship. For us, it is a simple formula. We deliver complete plumbing service done the right way. 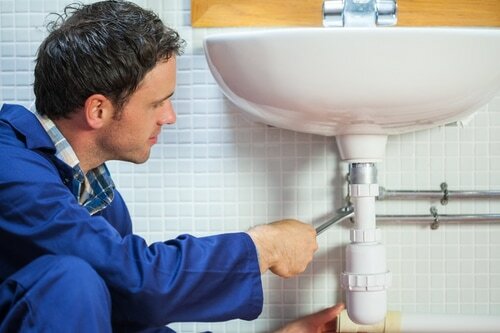 Our plumbing technicians are thorough and professional from beginning to end. We carefully assess your needs, provide dependable solutions at economical costs, and clearly communicating with you while work is being performed. It is your property, and we want to make sure it is well taken care of. Our plumbers handle plumbing mishaps of all shapes and sizes, from simple to complex. With our know-how and proficiency, we provide you with answers to any of your boiler, water heater, clogged pipes, and broken sewer line issues. If you want the best plumbing contractor, use our plumbers in Oak Lawn, IL.